All The Pretty Dresses: 1920's Dress with Long Sleeves! 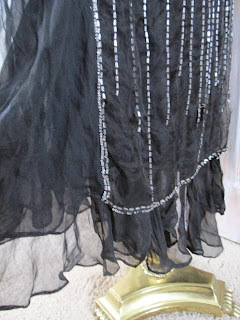 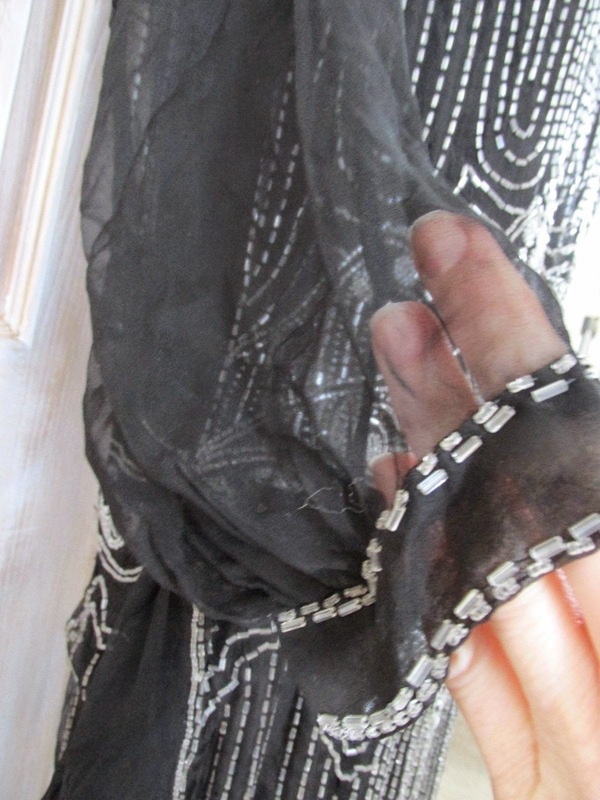 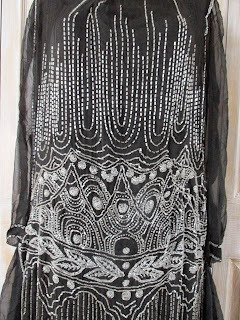 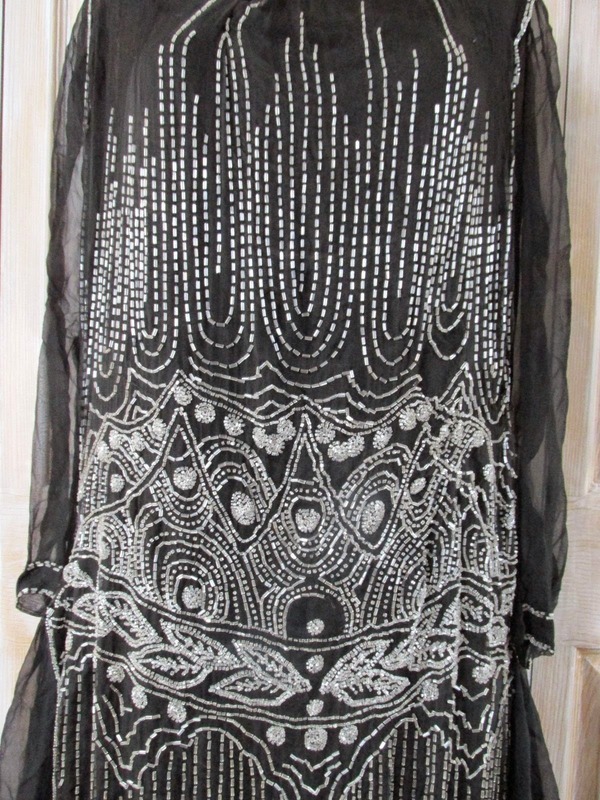 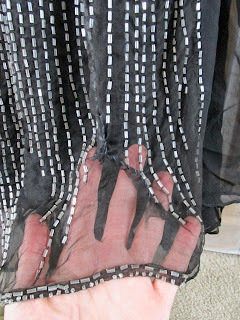 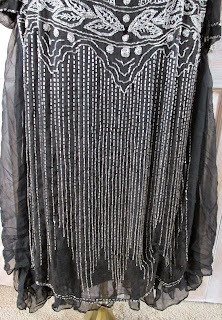 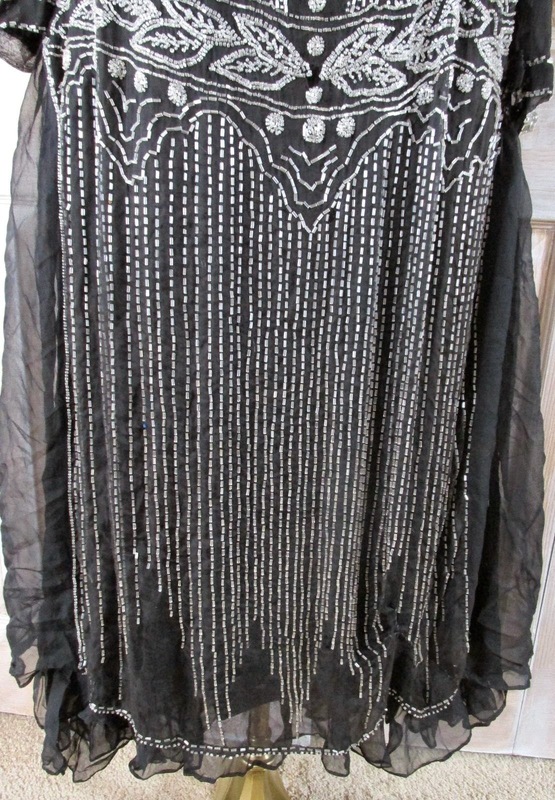 This divine vintage 1920's evening gown is a confection of gauzy midnight black silk chiffon layered over silk satin and covered in shimmering clear glass beading with long flowing sleeves, gently scooped neckline, ornately beaded tunic accented by a graceful waterfall hemline that was once the envy of the party. 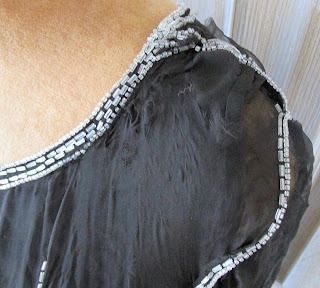 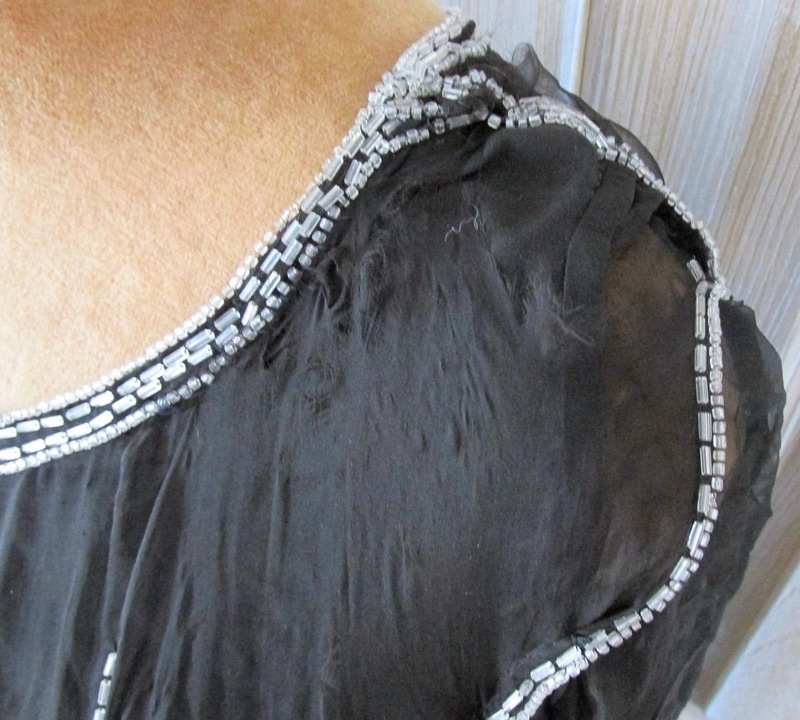 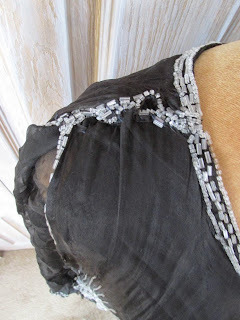 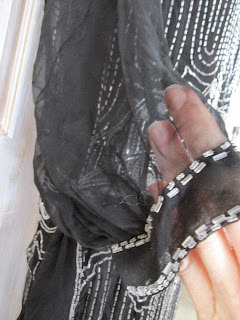 The silk chiffon is deteriorating under the weight of the beading with many past repairs and separations, was reported as being from a wealthy New England estate and is being offered as found for Study, Museum / private collection Preservation or Up-cycling as the chiffon is too delicate for wear.